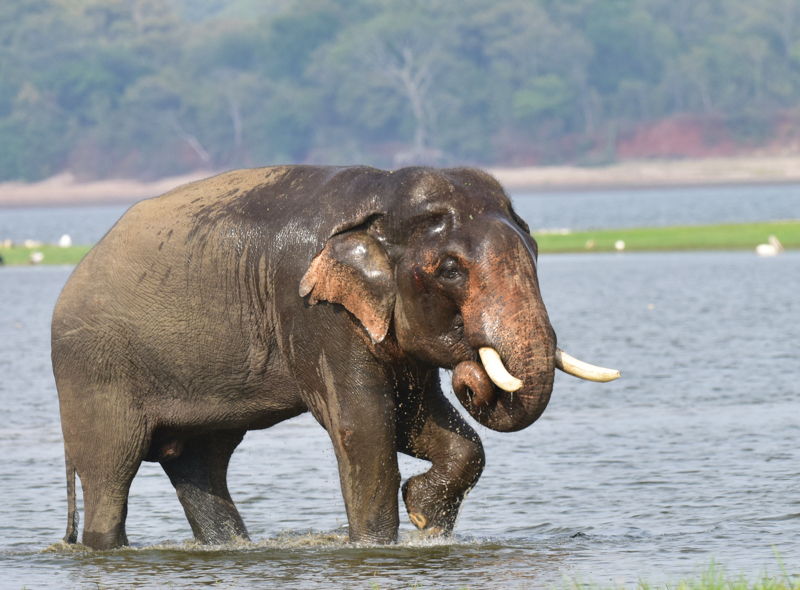 As the temperatures rise, the banks of the Minneriya Reservoir become a playground for the largest mammal on land. It is an awe-inspiring social gathering. The winter monsoon of the Indian Ocean carries dry wind and rain to the North Central province of Sri Lanka in the months of September to April. The opposite Monsoon winds, which carry warm moist air from the Southwest Indian Ocean, blow towards Sri Lanka from April to September. This generates a complementing dry season in the North West, the arena of nature's utopian spectacle. It is the location of the largest congregation of wild elephants in Asia, called ‘the great elephant gathering'. As the area's temperature rises the water levels recede in the North Central Province of Sri Lanka. 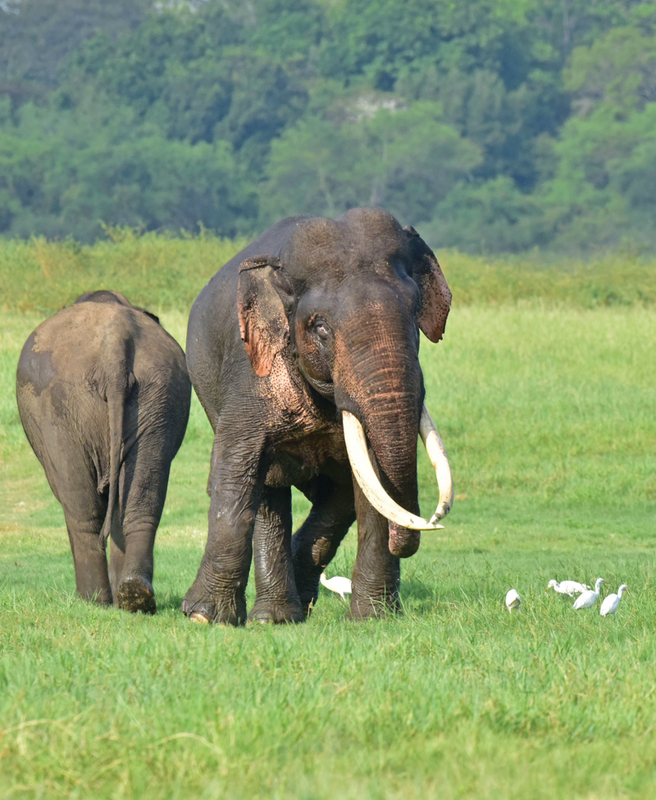 These gatherings of elephant herds occur in many National Parks and Sanctuaries including Minneriya, Somawathiya Kaudulla and Wasgamuwa. 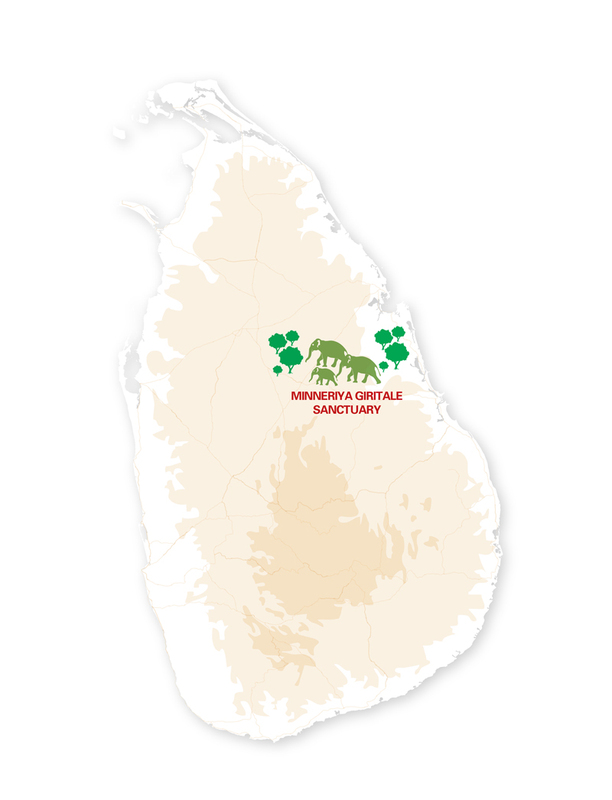 The Minneriya National Park is located 182km away from Colombo in the North Central province of Sri Lanka. You could reach the park by road in approximately four or five hours. 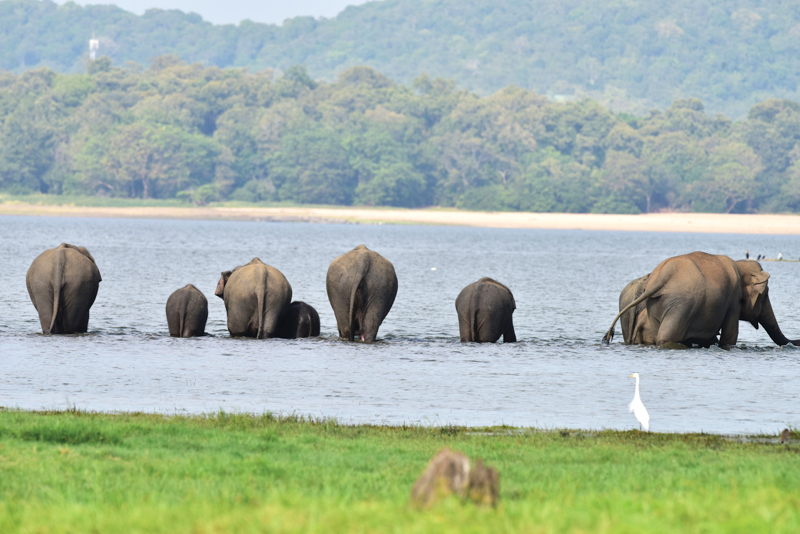 During the dry period, the man made Minneriya Reservoir or Lake becomes an important water source for many of the wild elephant families residing in and around the Minneriya National Park. Constructed during the Anuradhapura Kingdom by King Mahasen (276- 303 AD) by building a dam across the Minneriya river, the reservoir expands to 4,670 acres. The elephants living in and around the park are believed to now have a tacit knowledge about this body of water. It is after all a protected destination where elephants could quench their thirst, satisfy their hunger and gratify the longing for companionship. The male elephants are chased away from the maternal herd as they reach the age of six to eight only to join when they get into a sexually active period called Musth. 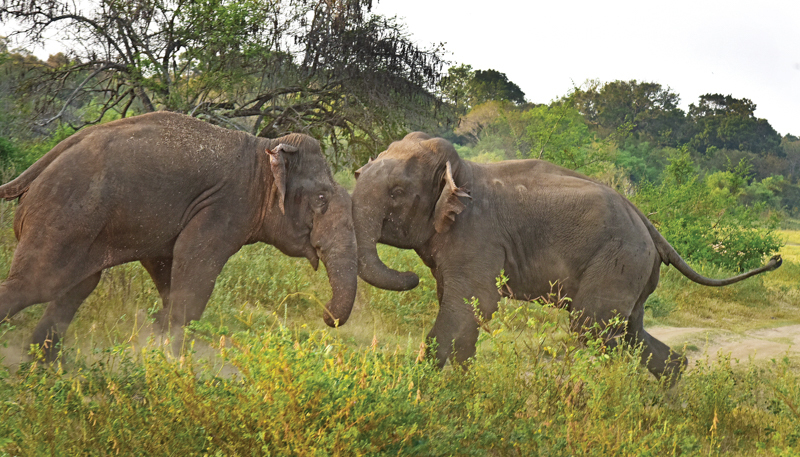 The wild bull elephants in musth often produce a characteristic pulsating rumbling sound, also called “musth rumble”, to which certain female elephants will respond. Each year the elephant assembly commences in May and will reach its peak in August. 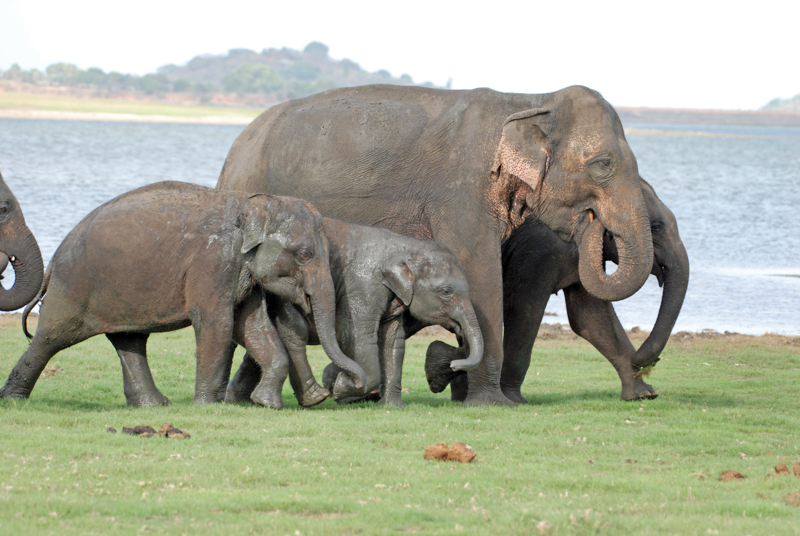 Visitors could witness as much as 300 to 500 elephants feeding on the lake banks or newly created grasslands. Fully submerged during the rainy season, the grass shoots are new and fresh when the water recedes. This must be quite a delicacy for the elephants. As the warm summer sun begins to set, many unrelated herds slowly beat out from the forest cover into the open grasslands. These include small herds of 15 to 20, medium size herds with about 30 to 50 members and a few mega herds with 60 to 80 elephants. From around three in the late afternoon different groups, led by their respective matriarch, splash into the water, others will browse the verdant landscape. With elephants feeding, drinking, and socialising the Minneriya Gathering is almost like the world's largest pool party in the wild. Elephants are complex social animals. One could witness most of their cute behaviours and mischief during a three-hour observance of this wild spectacle. Socialisation is a part of teaching and grooming the young. Many different life events are played out here. A play ground and swimming pool for juveniles, a strength test for the young males, a mating as well as birthing ground for mature adults. These banks are a place where bonds are created and life is made. With elephants feeding, drinking, and socialising the Minneriya Gathering is almost like the world's largest pool party in the wild. Only the best in shape will congregate, the herds' weak and sick are assumed to have been left behind. An older experienced female or matriarch dominates the complex social structure of elephant herds, which comprises female elephants mostly related: sisters, daughters and calves. The matriarch will lead the rest of the herd to destinations like Minneriya using safe pathways. These meridians are called elephant corridors. 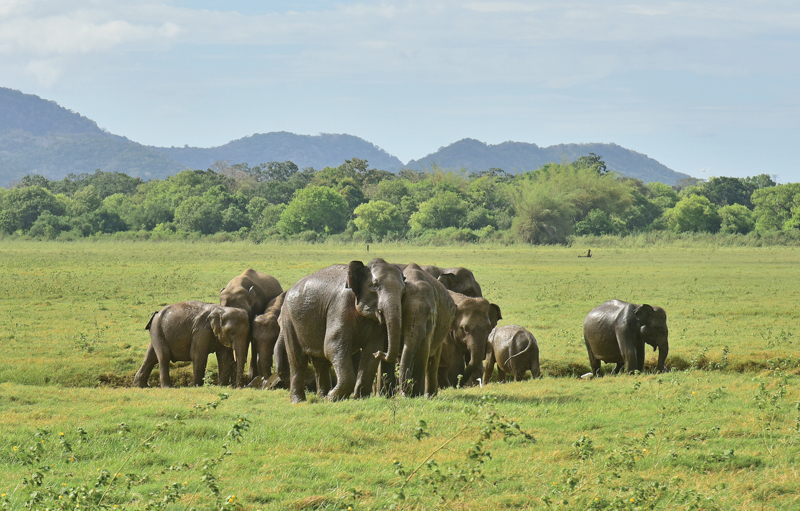 Whether you are a keen wildlife enthusiast or an adventurous tourist, when in Sri Lanka from July - August, you must visit Minneriya and witness this wonderful spectacle. Every year the frolics and playful shenanigans of the gentle giants are different. Once experienced you will surely be back for more.